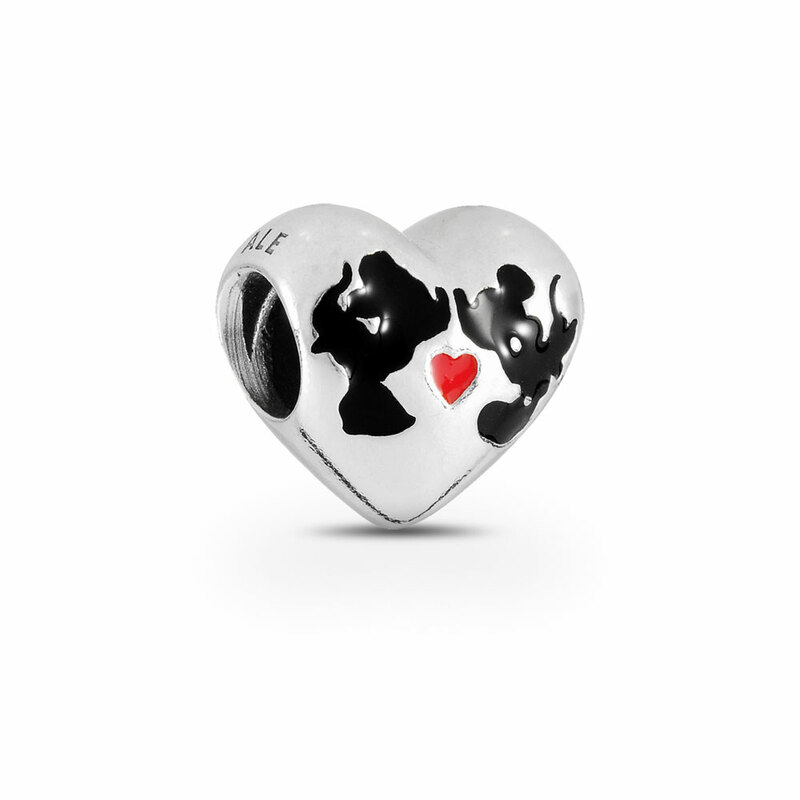 The loving bond and special connection between Minnie and Mickey are expressed in this detailed charm showcasing the silhouettes of the beloved Disney couple. Wear this magical charm on your bracelet and be reminded of your own romantic love story.This item is a single charm only. Bracelets sold seperately. Styling images may show this charm on a bracelet as styling inspiration.